You can have it all, they said. A fulfilling career, a loving family and a beautiful home. You can be a successful woman. They lied! That is probably the best way to describe how I feel at the moment. I’ve never been in the running for Mum and wife of the year and I’ve definitely never been able to call myself a domestic goddess but my children have been happy and Mr K has been safe in the knowledge that the house, if messy, has not been harbouring a deadly disease under a pile of washing. Since returning to work however, my just about balanced life has tumbled over, my spinning plates have come crashing down and my life raft has deserted me (it was probably eaten by the large stuffed animal shark that baby boy has developed a new attachment to). I am sinking. Of course I can handle a job as well as raise 2 young children and keep the house in a liveable condition! Those infamous last thoughts when I accepted the full time teaching role have played on my mind every day. Well fair play to you life, the joke is on me. Was I being too cocky? Did I need bringing down a peg or two? Whatever the reason, you have certainly done your best to knock me off balance. Well played, life, well played! On a typical week day at the moment I probably see my children for a grand total of an hour and half. It’s not quality time. That hour and a half is spent getting them up and dressed, giving them breakfast whilst preparing their packed lunch, driving them to the childminder, picking them up from the childminder, giving them a bath and putting them (with firm opposition from baby boy) to bed. Not exactly the fun family life I dreamed of. The weekend is slightly better. 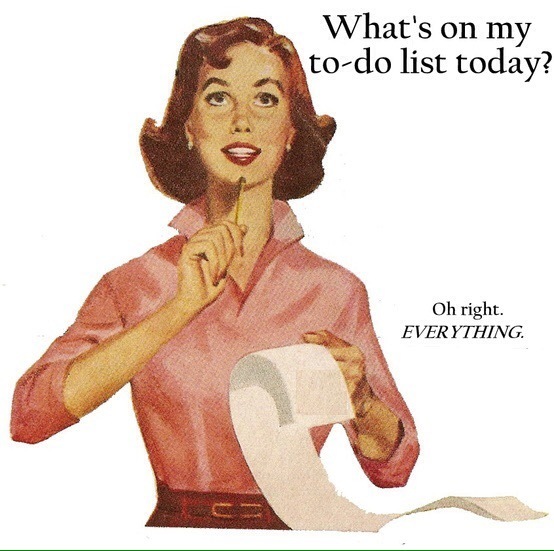 I at least get a day with my family, amidst trying to get semi on top of the housework, before spending Sunday doing planning and marking ready for another week at school. I am missing out on so much. I am missing out of the fun and laughter, on trips to the park, on collecting conkers, on jumping in muddy puddles, on learning to wave, on kicking leaves and countless other small things. Don’t get me wrong, my children are still doing all of these things. They are doing them on a daily basis but with a bunch of lovely ladies who look after them with fantastic care and love. I know that my children are doing these things because I get to read about them on the information sheet that comes home when I pick my children up each evening. My relationship with my children has become an hour and a half of necessary tasks and a daily log! At least I have a great job, right? Well maybe I’m the most ungrateful person in the world but I am really starting to resent spending more time with other people’s children than my own. Teaching was my dream job and maybe my dreams have changed or the reality of staying up past midnight every single night to complete the necessary marking and paperwork is just unfeasible since the children arrived but I am feeling the love slowly dissipate. The daily stresses and insane workload that a career in education bring seem to have trebled since I qualified just 6 years ago and I am just not sure that I am cut out for the totally life consuming dedication that is required and expected from today’s teachers. The bills still need to be paid though and despite regularly applying for jobs in other sectors, it seems that I am now only qualified to teach. I just don’t know how to escape! Life has a way of throwing everything at you all at once and then adding in that extra little kick whilst you are down. It happens to all of us but that doesn’t make it easier. In fact, the knowledge that others around us have their own problems just pushes us to keep our own struggles to ourselves. Not wanting to burden our loved ones we push on through the daily grind, burying our true feelings. It’s just the way it is. Ok, so maybe I am generalising and that is not true for everyone. Maybe there are people out there who openly admit that they need support and not let themselves be bogged down. I applaud those people and if I’m honest, I’m a little jealous of them. I myself, just try to plod on through with a fake smile and a nod of my head when asked if everything is well. I’m just not sure how long I can keep it up this time. « Car Seats – know the law! Life is tough especially for career moms. So many duties and everyone expects us to serve with a smile.